With business aviation in the Middle East continuing to grow at an increasing rate, the MEBA event enables visitors to discover the latest innovations and advances in aircraft technology, while also providing them with an opportunity to build new business relationships by speaking to the dedicated industry professionals who will be in attendance. 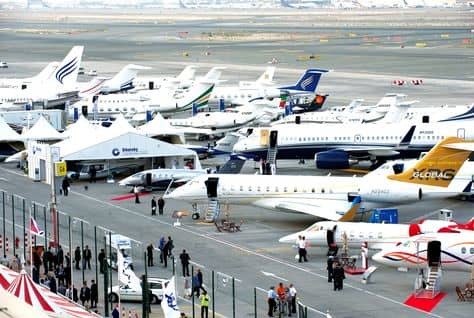 This business aviation platform for the Middle East takes place between the 8th - 10th December at the Dubai Airshow Site at Dubai World Central. This is a must see event for companies involved in business aviation, and some of the world's finest corporate aircrafts, many of which will be on show in the region for the first time, will be showcased at the event. Michele Van Akelijen, the Managing Director of show organisers F&E Aerospace has spoken of the benefits of this upcoming event: "We aim to help the local market understand what's available. The MEBA static display allows interested parties to get close to the aircraft, to study the interiors, to better understand the technology, the engines, and most of all, talk with company representatives face-to-face in a perfect, purpose-built environment". Those attending the exhibition will have the chance to see first-hand some of the newest and most impressive business aircrafts the world's leading manufacturers have to offer. The world's fastest private jet, Gulfstream's G650 ER will be one of the main highlights of the MEBA exhibition. The President of Gulfstream, Larry Flynn, has described the G650 ER as "a speed-and-range combination that makes it a game-changing aircraft". Other eye-catching aircrafts on display include the Challenger 650 and Challenger 350 from Bombardier. These efficient and reliable business jets offer outstanding comfort, with high-class performance and state-of-the-art cabins with leading technology. French manufacturers Dassault will be displaying a Falcon 7X and a Falcon 900LX. The ground-breaking Falcon 7X is the flagship offering of Dassault's business jet range, and was the first business aircraft to feature a digital flight control system. The Falcon 900LX is the upgraded variant of it's predecessor, the Falcon 900EX EASy, and Dassault claims that the long-range craft delivers 35-40 per cent more efficiency than other jets in it's class. CEO of the company John Rosanvallon says "The 900LX will make one of the most popular Falcon series much more capable, economical and environmentally responsible to operate". The MEBA 2014 event will welcome exhibitors from over 45 countries, and over 70 per cent of these will come from outside the Middle East. With the rapid growth in the business aviation industry, companies are exploring and exploiting the commercial opportunities in the region. Ali Al Naqbi, Founding Chairman of the Middle East and North Africa Business Aviation Association (MEBAA), says: “Business aviation analysts suggest the region's private business jet market is on course for a 13 to 15 per cent growth in 2014. We anticipate some 1200 business aircraft to be registered in the region by 2020, so the desire for new aircraft – particularly the new breed of ultra-luxurious, wider-bodied, faster and more fuel efficient craft – is clearly there”.